← Flipping Out In Nuevo Mahahual !! By now, most know the Tropicante is the place to go in the Costa May/Mahahual area for micro-brew beers and artisan spirits, with Xcalak’s Mango Moonshining Company products as our local signature products. However, our search to find unique artisan spirits would not be complete until we found a Jalisco artisan tequila that, like Mango Moonshining Company, is as good, as it is, unique. Well, we can finally say we’ve found one! The Tropicante is proud to now host the Jalisco distillery, Tequilera Reyes, to our family of Mexican craft beers and artisan spirits. Their representatives will be in the Tropicante each cruise ship day for a tequila tasting and presentation, that is as fun, as it is tasty! Stop in for a fun tequila tasting at the Tropicante! For those who do not know tequila, it is important to know that it must be made in only one state, Jalisco, in western Mexico, to be real tequila. So when we set out to find our own unique artisan tequila, we had to start in Jalisco. Lucky for us, we did not have to go that far. We found them in Cozumel. Tequilera Reyes is a small distillery in Jalisco, but they only sell their products in Cozumel at the family restaurant. Until now that is … where you can now find all their products at the Tropicante! Why so few locations? Because the Reyes family operation is a true artisan distillery, not a production tequila company. Each bottle is a handcrafted to perfection, work of tequila art, so there just is not that much of it to sell. It is not about volume production for the Reyes family, but according to their mission statement, about making “innovative and quality products, aligned with our values and family traditions.” Now that caught our attention. What we found was a three generation, family distillery, with roots that go even deeper into the tequila tradition of Jalisco than even their own. The distillery is actually the second oldest in Mexico, originally Hacienda El Martineño and founded in 1840, until it was purchased by Don Jesus Reyes, a master already with 30 years of distilling experience, and where Tequilera Reyes began. He combined his knowledge, with the traditions he found at Hacienda El Martineño, and the product obtained its original unique body and taste. A taste, the family traditions have maintained still today. If you like creamy flavored liquors, those made by Tequilera Reyes, are especially good. The same attention to detail and quality used in making their tequilas can be found in the flavors of their specialty liquors. They are all sweet and rich, and can be sipped on ice, enjoyed in coffees, or best of all, with your favorite deserts. Flavors are coffee, chocolate, coconut, amoreda and walnut and all are truly a treat to your taste buds. Try them once, and you’ll go home and toss all your Bailey’s down the drain! Don’t take my word for it though, drop by and try the Reyes family’s products for yourself. Their representatives are at the Tropicante, doing free tequila tastings all day long on ship days. They can fill you in on the family traditions, the traditions of Jalisco tequilas and the old world, all-natural qualities and processes the distillery still uses today, that sets them, and their products, apart. They’re a fun bunch, know their tequila and most of all, love showing the world, a truly fine artisan tequila. Drop by and see for yourself! Keep it flowing. There’s a barrel of 1/2 aged double anejo with my name on it. Unfortunately that appears to be my next time on the malecon. Hey Crew! Donde esta frijole compa?? Were you bean man! You gotta come by and try this. Stop in next cruise and say hi at least. Hope all is well with you. Saludos!! Thanks for the email and information on Tequila. We are so looking forward to visiting the Tropicante on our September cruise. And of course the Tequila tastings. Hi Betty.I’ll look forward to seeing you in September. There is a chance I might not drink ALL this stuff before then. Saludos!! My husband is going to be so excited that you have Reyes Tequila. Love that stuff! It really is a very fine spirit! I hope you guys can try it while you are there. My advise, don’t try the flavored liquors unless you brought your credit card. Just my advise. Saludos!! Saludos is right! 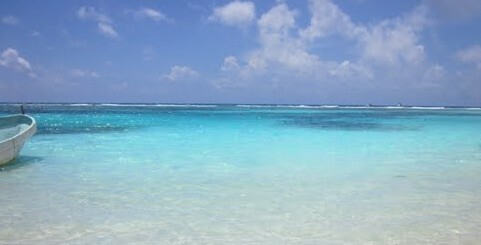 Your Tales From Mahahual is driving us Gringos stuck in the States crazy right now, keep it coming! My wife and I will be there soon and hope to see Fernando at the Tropicante and sample the anejo tequila. As my Irish Mother would say, May You Be in Heaven an Hour Before the Devil Knows You Are Dead! A fine toast for consuming great Tequila. Can’t wait to try it! We’ll be at The Tropicante next Tuesday 9/4. See you then.